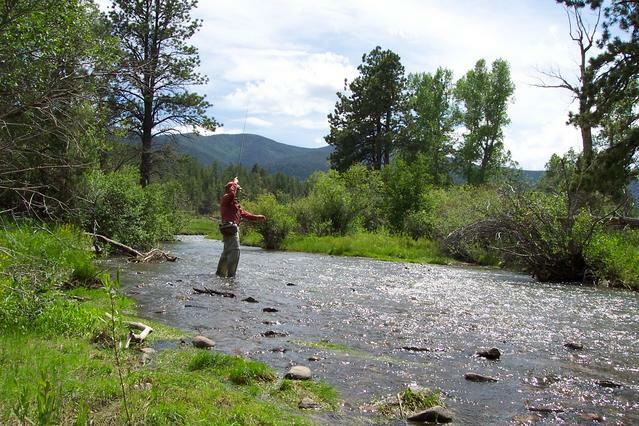 Fishing on the Cimarron tailwater fishery emanating from Eagle nest Lake, the Cimarron is a brown trout stream with excellent opportunities for dry fly enthusiasts. 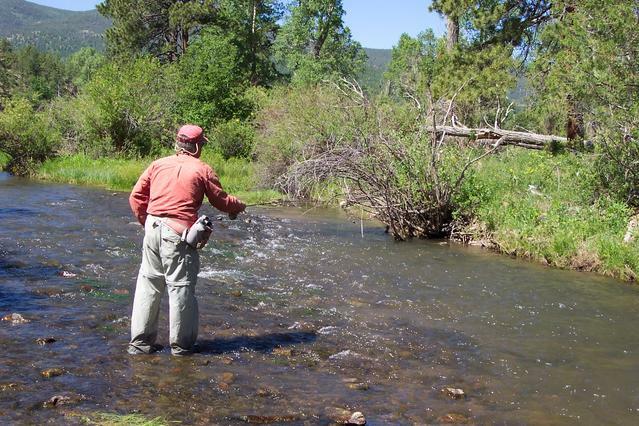 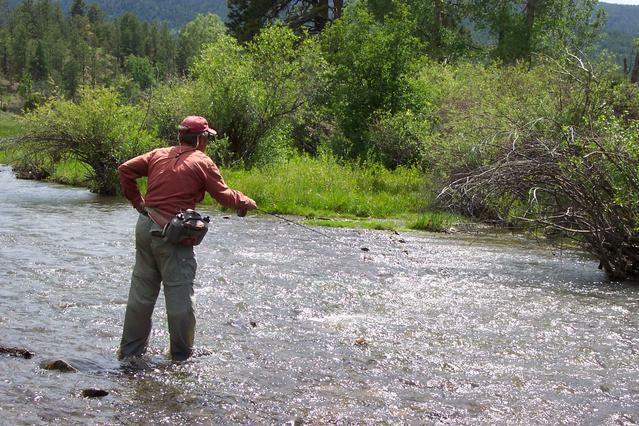 This stream gets a lot of fishing pressure during the summer months. 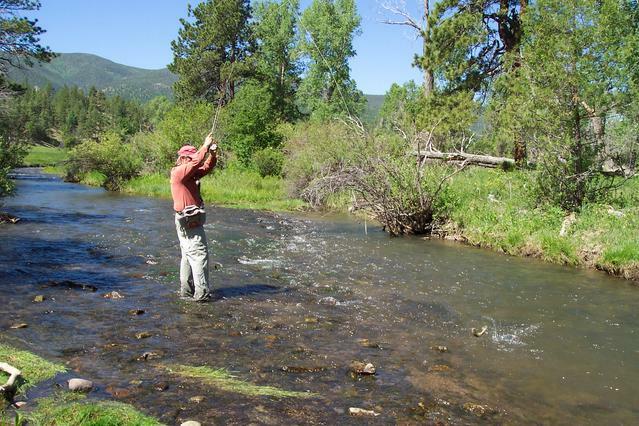 We find the best time to fish here is April through June before the crowds arrive. 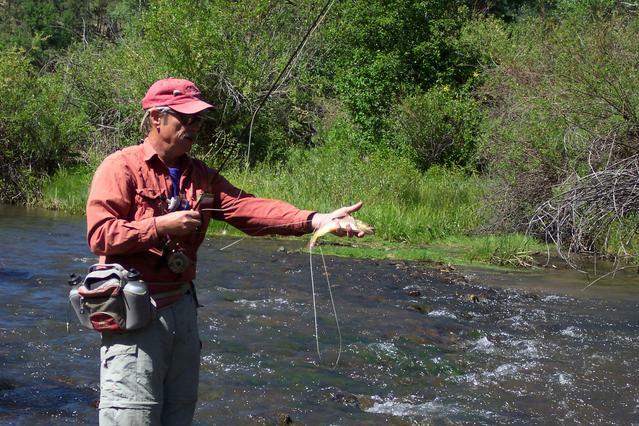 Casting accuracy and short drag free drifts produce best on this challenging stream. 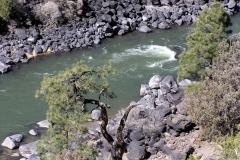 The Cimarron River, flowing entirely in New Mexico, was also known as La Flecha or Semarone. 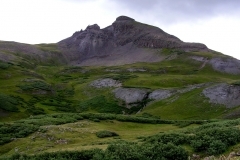 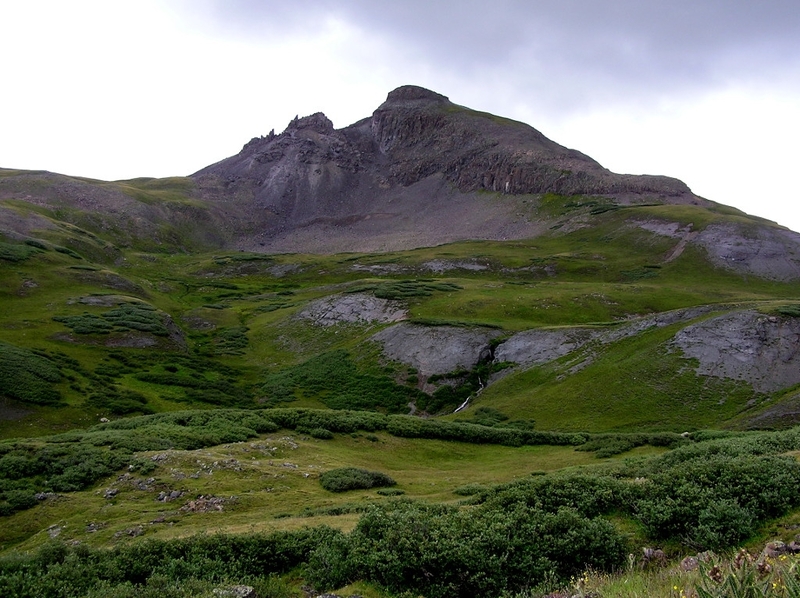 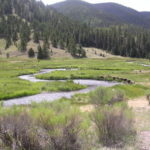 Its headwaters are Moreno, Sixmile, and Cieneguilla creeks in the Sangre de Cristo Mountains, which feed into Eagle Nest Dam. 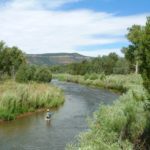 From the dam, it runs for 60 miles to below the city of Springer, New Mexico in the Taylor Springs area, where it flows into the Canadian River, the southwestern-most major tributary flowing into the Mississippi River via the Arkansas River sub-basin. 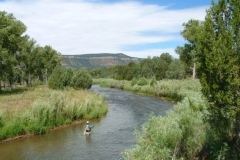 This river flows within a mountainous canyon that is part of Cimarron Canyon State Park in the lower Sangre de Cristo Mountains and runs down into eastern plains of New Mexico. 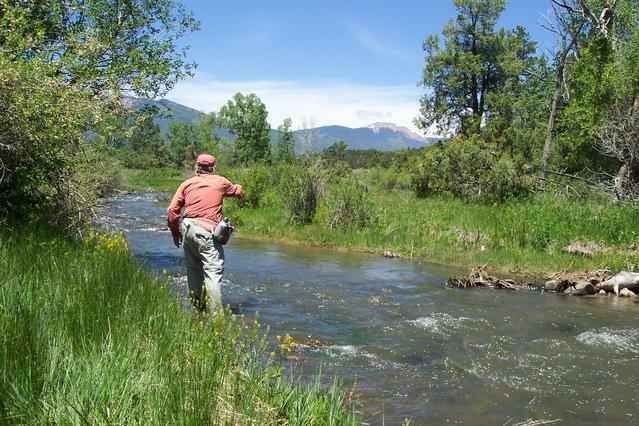 This headwaters region is also home to the Philmont Scout Ranch. 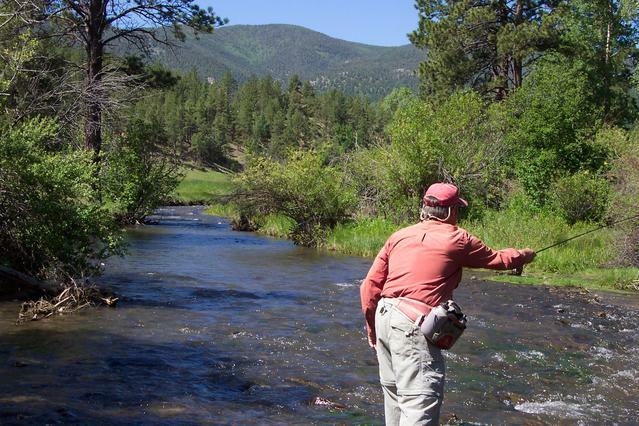 The Cimarron can be a good dry fly steam from May thu October, but in June it’s fantastic. 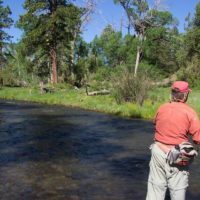 Surviving for six months on midges, may flies, and the odd fresh water shrimp, the Browns of the Cimarron look at the large (size 8-12) stone flies like a junk yard dog eyes a pork chop. 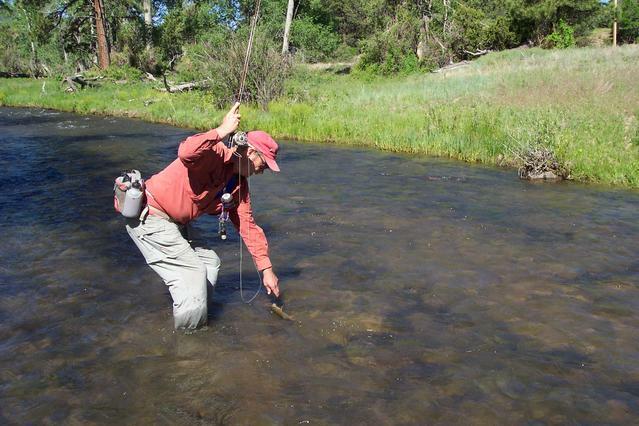 Presentation is very important here and getting into tight spots is essential. 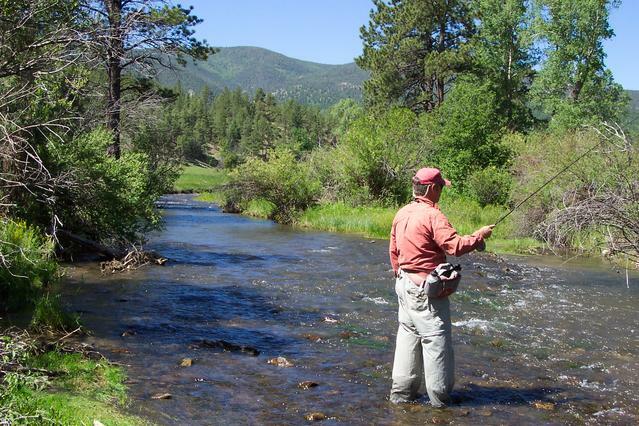 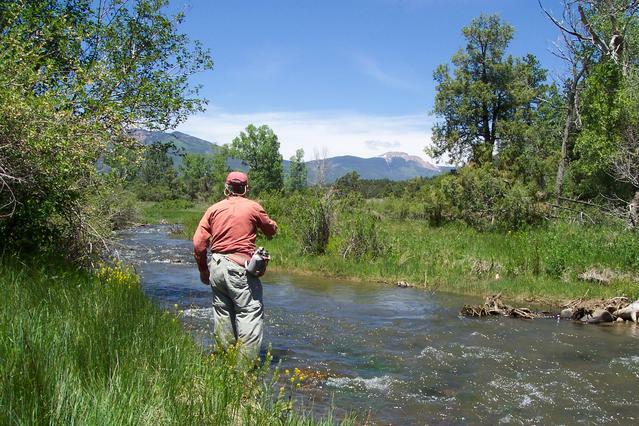 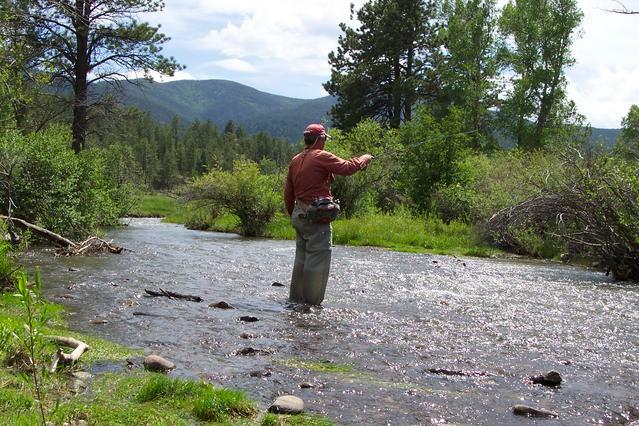 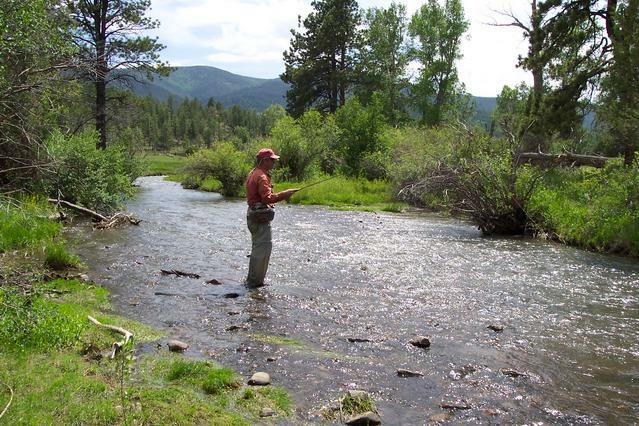 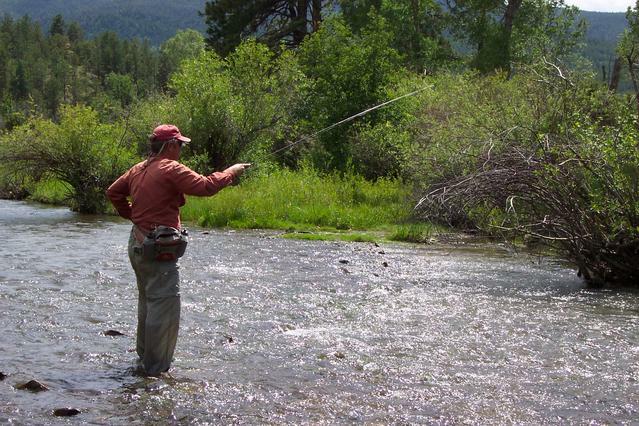 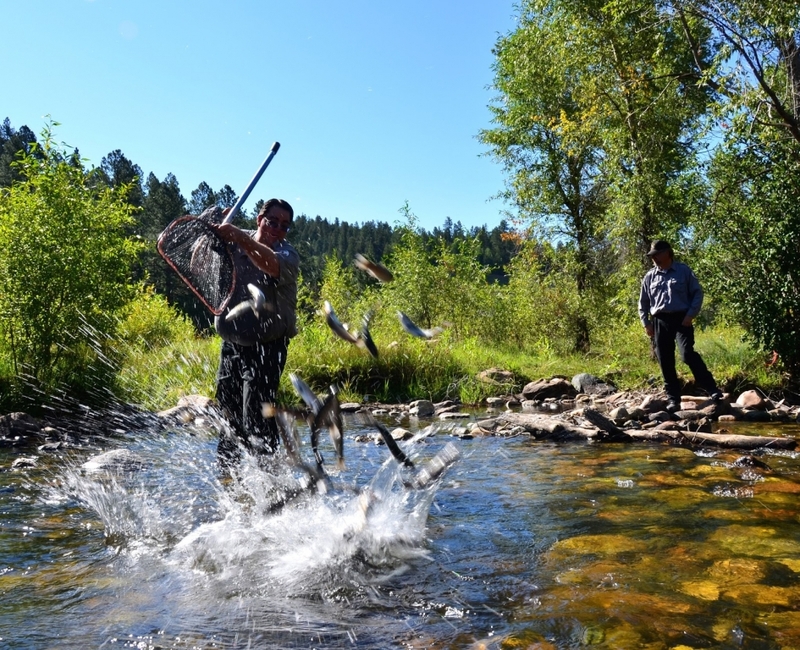 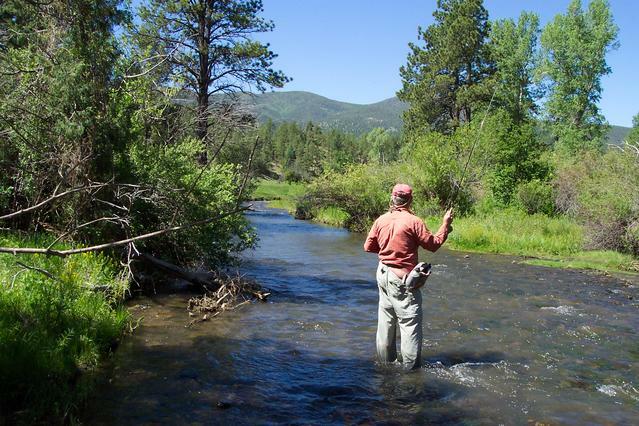 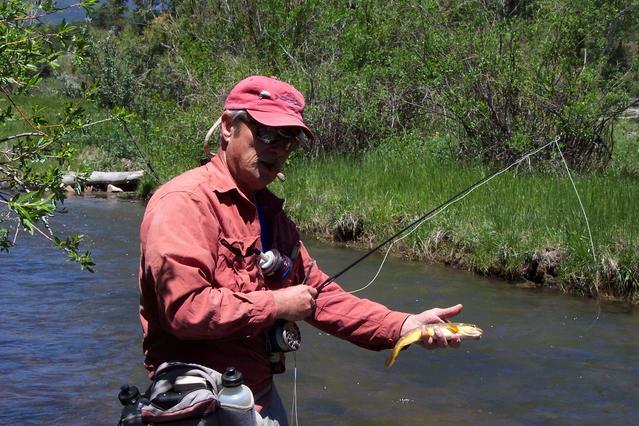 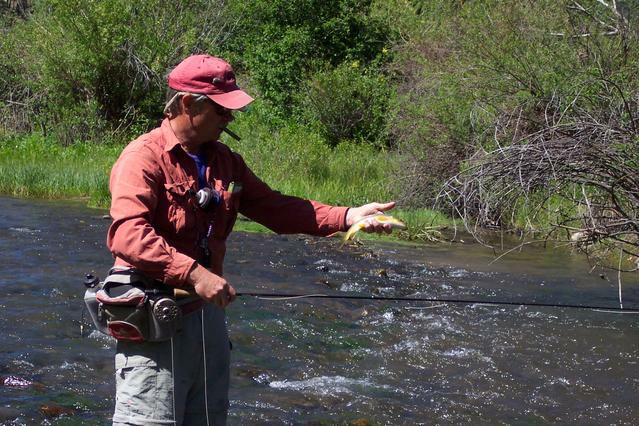 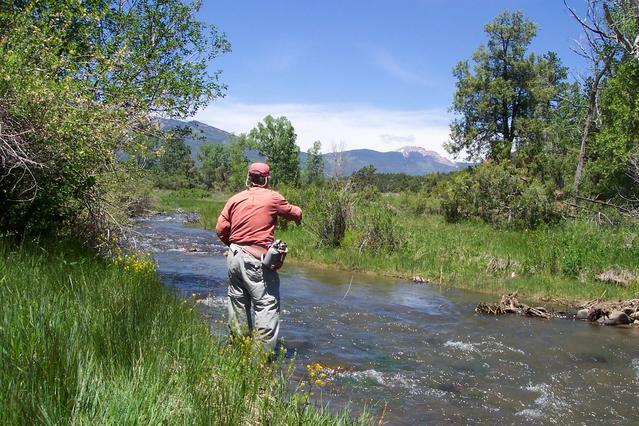 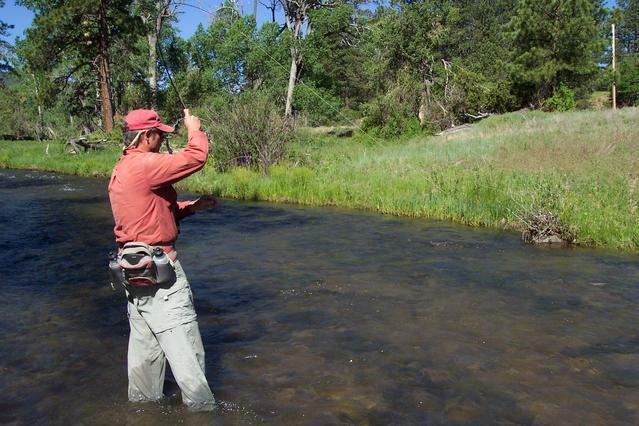 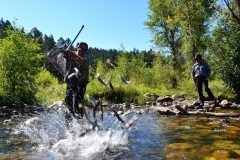 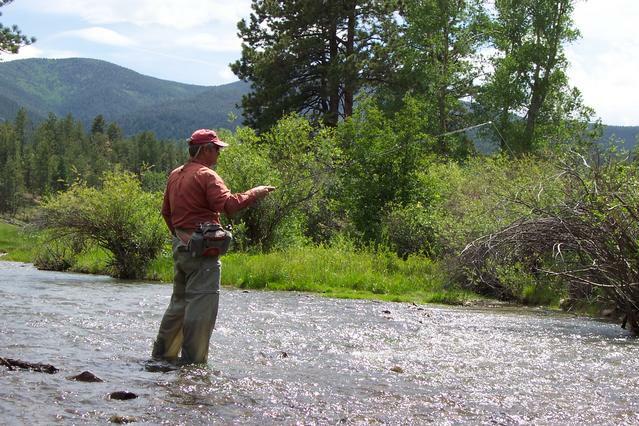 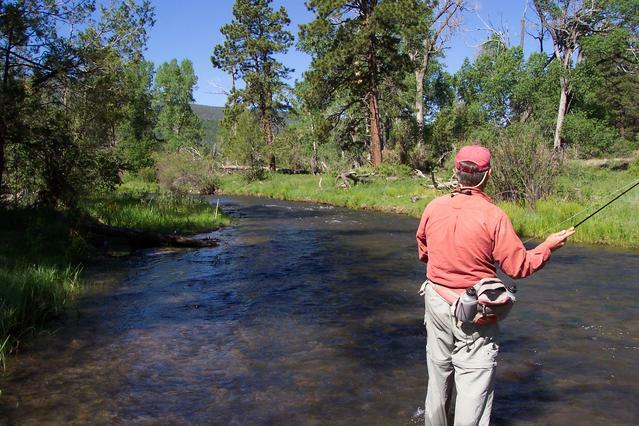 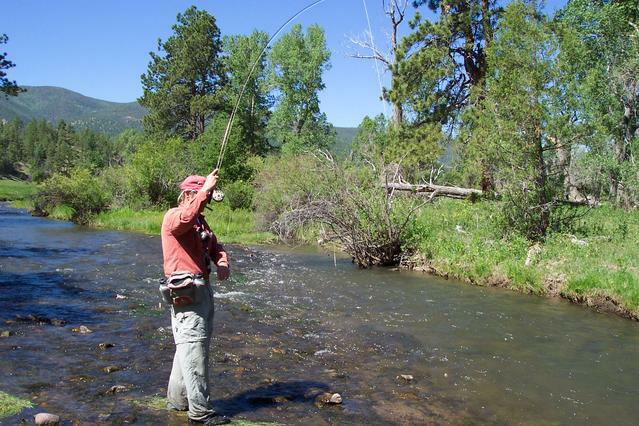 The Cimarron has over 3,000 fish per mile, and the water is small. 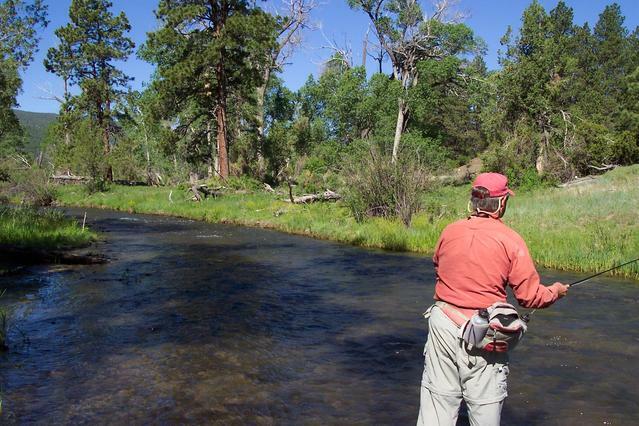 Controlled by Eagle Nest damn optimum flows are between 15 and 50cfs. 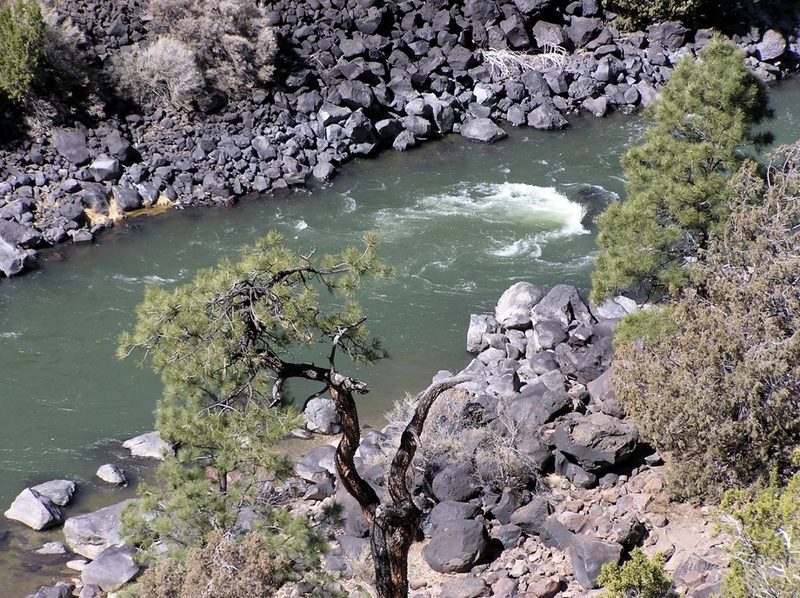 Cimarron Cita: A one mile stretch of Cimarron below the state park. 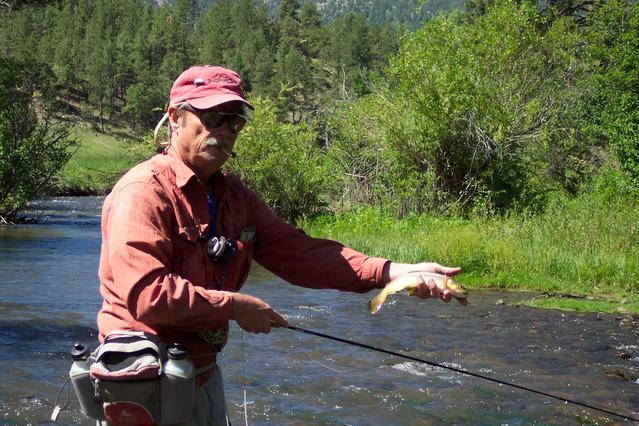 Very open and often fishes well even when flows from Eagles Nest lake are low. 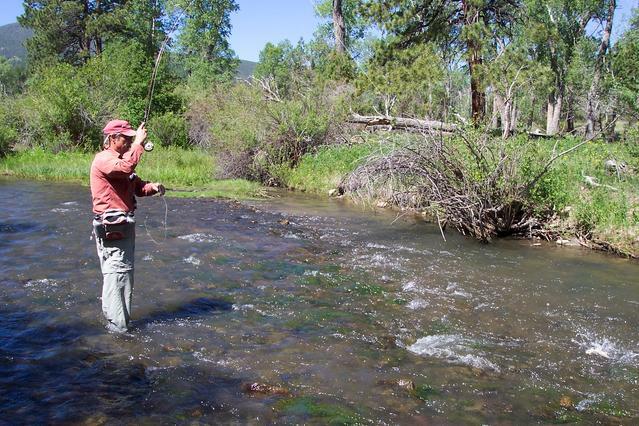 On the often crowded Cimarron, private water is absolutely the way to go. 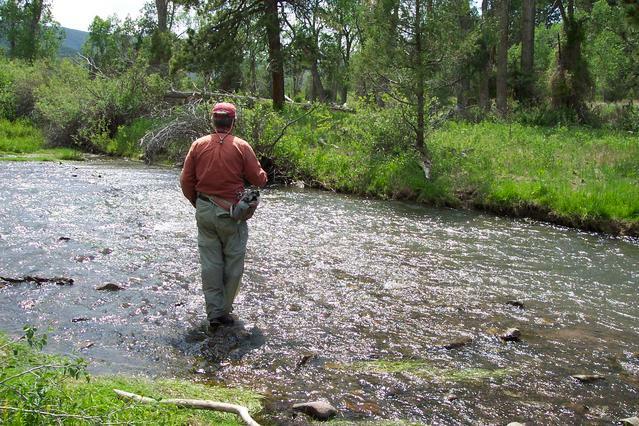 The river is yours for the day, and the fish are fresh. 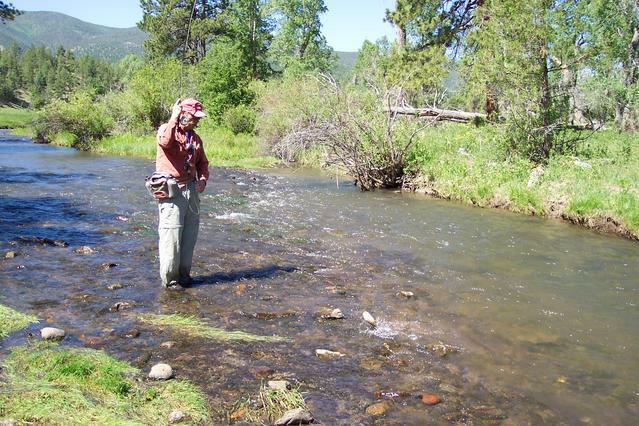 Ute Creek Ranch: A two piece section of the Cimarron near the town of Ute Park. 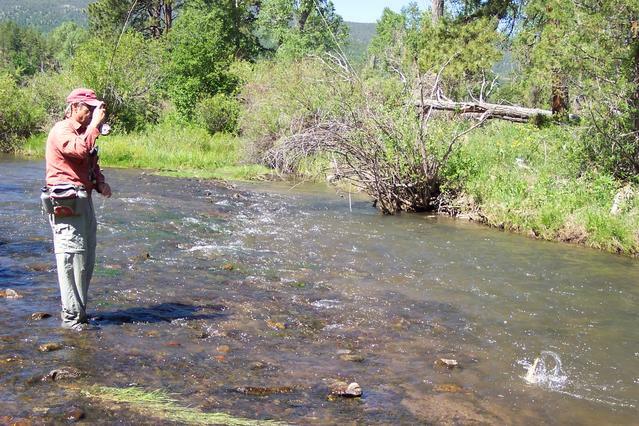 Overall it is about a mile of water. 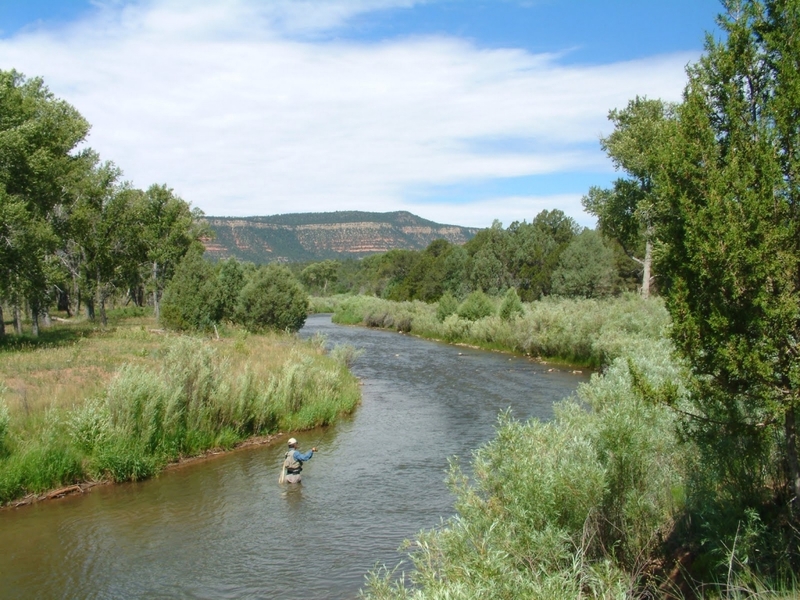 This area is not stocked but there is a healthy resident population of about 3500 brown trout per mile and it is entirely catch and release. 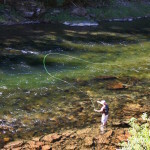 This is a great stretch of water for anglers of any skill level.